Energy is often one of the biggest costs that a university has to face. Implementing an energy management system not only helps to manage that energy but also to reduce it as well, meaning that money can be redeployed in other areas, such as increasing maintenance, investing in new energy efficient technologies & buying new equipment. Wanting to ensure that they are managing energy use efficiently, National University Ireland Galway asked Lucideon (formally known as CICS) to certify its Energy Management System to ISO 50001. Lucideon assessed the energy management system which covers more than 110,000m2 of buildings on the main campus including teaching, leisure & sports, conference, laboratory and cutting edge research facilities. The comprehensive process, which was conducted in a rigorous, but fair, manner and included two site visits, involved both a Management System lead auditor and an Energy Expert (GHG Lead verifier). Both assessors have management systems experience as well as a vast knowledge of the energy management arena - as do all Lucideons' auditors. "NUI Galway has for many years focussed on energy management, and monitoring and targeting systems. We chose to have our EnMS certified to give us and our stakeholders confidence that we are managing energy use efficiently. "We also believe that regular audits will help us to keep energy at the top of our management agenda and help us to focus on continual improvement. "We also intend to disperse the data and build the lessons learned from the certification process into our fundamental design criteria for new buildings, and as an educational tool for our students; particularly those in the field of Economics, environmental and Engineering programs. 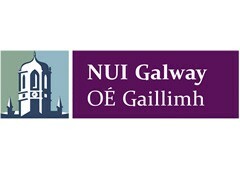 NUI Galway selected Casey Technology as the consultant to help implement ISO 50001."